I bought my husband these vintage map cufflinks with the location of where we got married on one cufflink and where we honeymooned on the other, as a six-month wedding anniversary present (sickly newly weds!). Since then I’ve been hankering after some map things for our home. 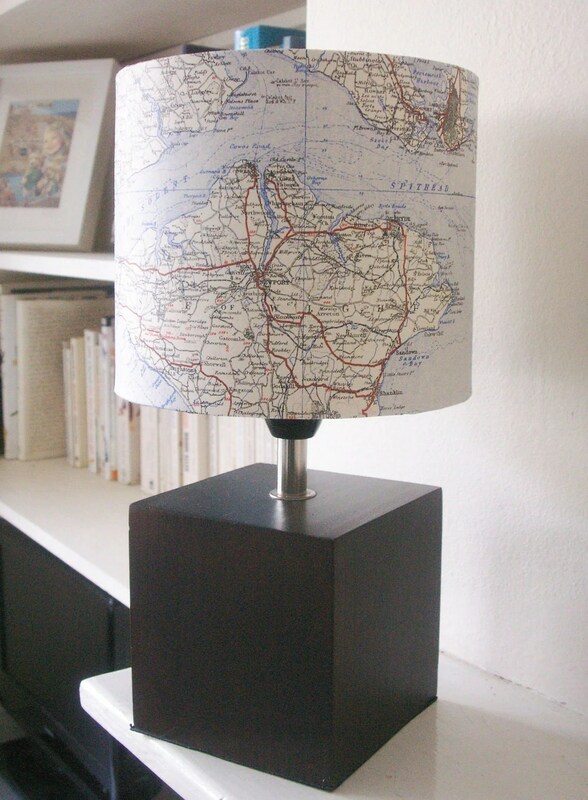 Philippa Stanton makes these beautiful vintage map lamps. Choose from Isle of Wight & Solent, Brighton, Rochester & Chatham or various areas of London for around £44 including the base or ask for a bespoke lamp with the area of your choice. These coasters and placemats by Scarlett Willow Ltd. can be personalised with the postcode of your choice in the centre and as an older or more modern style map. They start at £40 for a set of four coasters. A nice idea for a house-warming present. 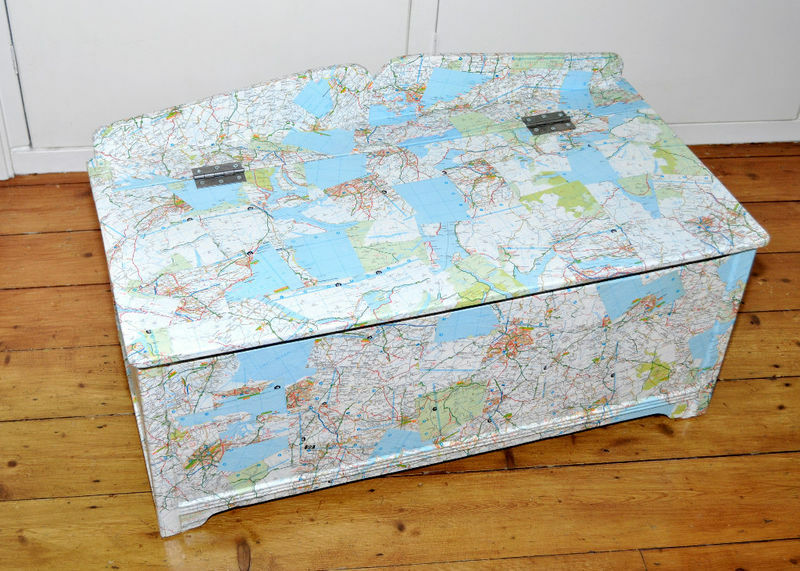 I love this blanket box from Flutterbug Interiors, the UK map decoupage design includes the interior too. This size is £89 or a smaller size is £55. The Origin of the Unit artwork by Terror Dome is really gorgeous, each member of the family is made from a map of where they spent their childhood. 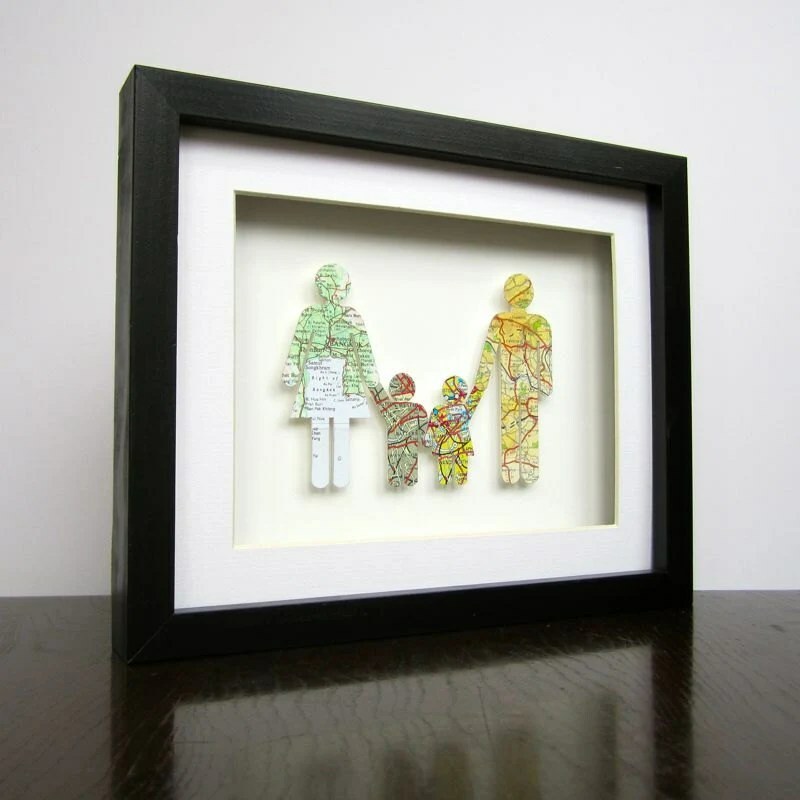 The family of four version is £57 and comes framed in a shadow box. It can be personalised further based on number of family members and what mix of girls and boys are in the family. I’ve always hankered after a dressmaker’s dummy and Grace & Favour Homes do a lovely range. With most of them starting at £175 they’re not cheap, but this decoupaged London map mannequin is really stunning.